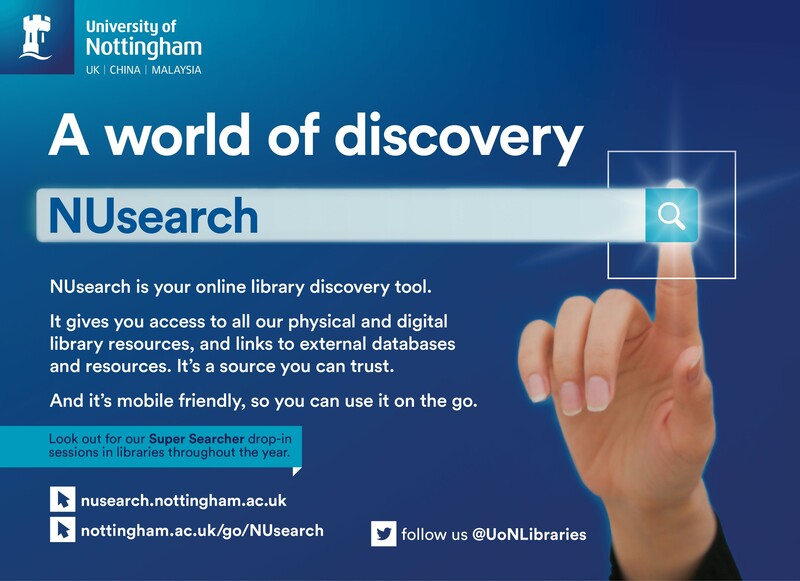 The library discovery tool NUsearch has undergone some recent enhancements to improve the Explore features and the appearance of some of our screens. In this blog, we’ve highlighted the changes you’ll see and shared ways that NUsearch can help you to make resource choices. We’ve renamed the option that was ‘You might also like’ to Related Reading, and it’s moved position from the bottom of the screen to the right hand side. 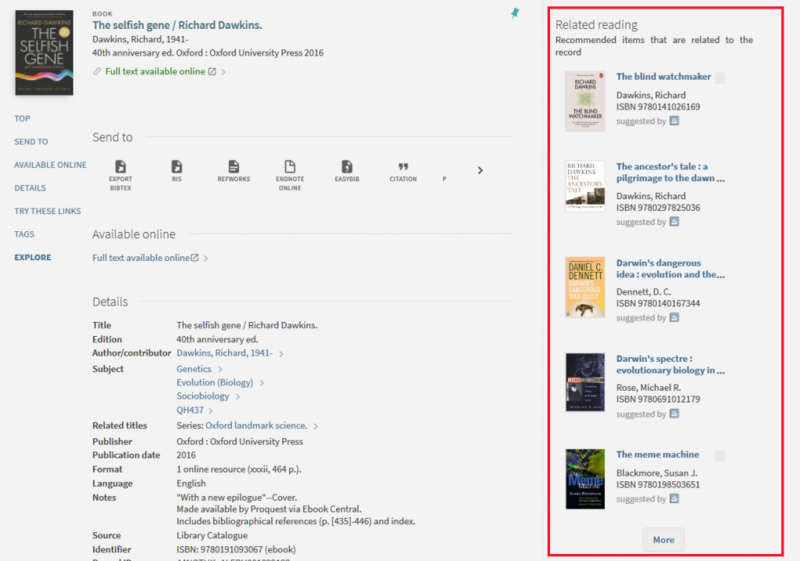 This means that when you select a book from the search screen, you will see the full details of the book plus five other suggested reading recommendations. If you’d like to browse a larger selection, click on More and you’ll see related reading from similar authors, genre and subject. When to use? This feature is really handy if you are looking for suggestions of other books, aren’t getting the search selections you are looking for, or aren’t familiar with the subject. Top Tip when exploring the books in our library collections this way, is to use the Pin as you go along, building your own reading list of books. Much like the book searches in NUsearch, journal article searches will also provide a related reading panel. 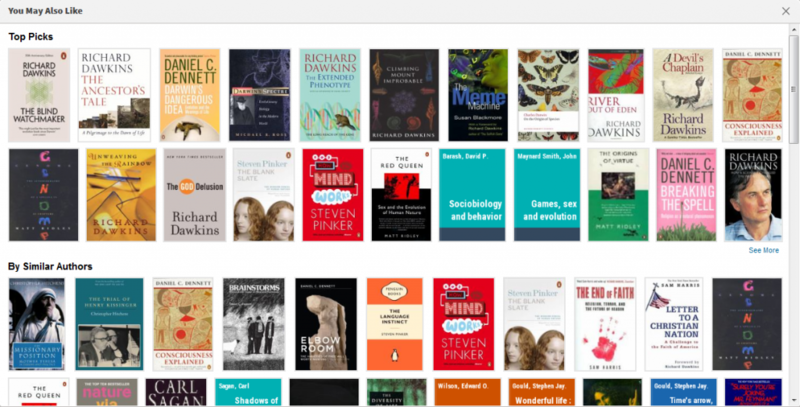 You can see the highlighted keywords or search terms in the full view screen – this will help you to understand why you are being shown related reading suggestions in the right hand panel (see images below). When to use? General interest in a new subject area, finding out what else has been written by the same author, subject keywords to inform further searches. Top Tip At this point using the Pin (no pun intended) will enable you to create your own reading list of favourites or things to come back to at a later date. You are now able to see the Citation trail from the Brief Results page, as well as in the full results page. This means that you can click through straight away and follow the Citation Path. The link to library room bookings within NUsearch has now been removed and you are pointed in the direction of our webpages. Room bookings are now available via Outlook O365, a change that we hope will improve accessibility and offer more visible room choice across all of our library spaces. Our recent blog explains more about this change. All of our library staff are available to help you to get the most out of NUsearch, they can also show you how to book library rooms. Our library helpline is there for those of you who need help outside of the library.